New in 2019! 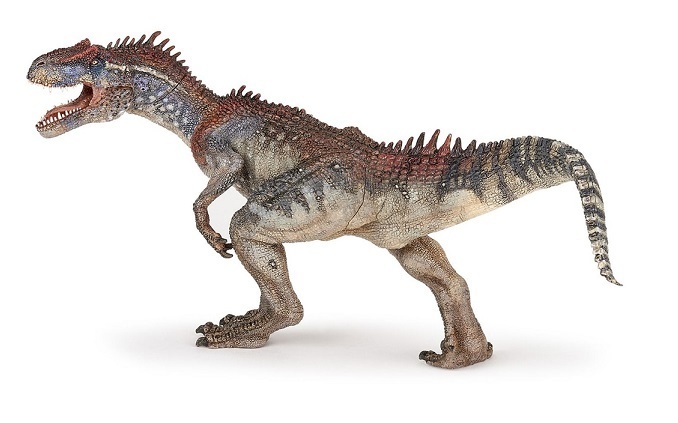 Papo has rebooted their Allosaurus with fresh paint scheme. The Allosaurus lived around 150 million years ago in the late Jurassic Period. Like the Tyrannosaurs rex, the Allosaurus had short arms and was a fierce carnovore. Most Allosaurus fossils have been found in the Morrison Formation, a distinctive band of sedimentary rock found in the western United States.